People drink for any number of reasons. Whether they want to have fun with friends, relax after a long day, or ‘drown their sorrows’ when things aren’t going well— there are healthy and unhealthy ways to consume alcohol. When you’re having a hard go at it, alcohol can become a crutch you use to get past those major life stressors. Therefore, alcohol and depression have the potential to go hand in hand for many people. But, how do they affect one another? And what comes first? There are studies which show that one-third of people who deal with serious depression, also deal with alcoholism. In many cases, depression comes first— and then alcohol becomes a means of escape. However, there are also instances where alcoholism comes first— and depression becomes an issue as a result of not being able to fight your urges. The stresses of an adult life can absolutely lead to alcoholism and depression. However, it is actually quite common in children and teens as well. Teens who have major depression are twice as likely to start drinking than teens who have not. Adults typically have a stronger understanding of what it means to be an alcoholic. Furthermore, they understand the damage it can do in your daily life. However, teens often haven’t had those same brushes with alcoholism. Alcohol, and drinking, is new, exciting, and the effects have a strong appeal. Especially when facing depression as a child, the urge to drink and escape that can be strong. What many people don’t understand about alcohol and depression, is that alcohol is a depressant. While it can provide a great escape from the tough times, drinking heavily and frequently can lead to more intense episodes of depression. Not to mention, next day anxiety after heavy drinking is quite common— which can only hurt your depression. When you’re suffering from alcoholism, or depression— one or the other can come quite naturally as either a coping mechanism. When suffering from depression, healthy behaviors can go a long way in battling that depression. Alcohol abuse is something that many Americans suffer with on a daily basis. Alcohol use disorder is the medical term for alcoholism and abuse. While many people begin drinking on their own, and make the decision to persist in heavy, unhealthy drinking behaviors— there is a genetic aspect to it. In terms of genetic alcoholism, there are specific genes that have been linked to these behaviors. Furthermore, your likelihood of having them increases depending on your family history. But how exactly does that work? And where does genetic alcoholism stop, and a personal choice begin? Parents pass their genes down to their children. Therefore, some of those traits that they carry can be passed from one to another. However, it’s important to understand the difference between genetic and hereditary diseases. Hereditary diseases display a genetic mutation that occurred through their parents’ DNA. Therefore, genetic alcoholism is something of a debate in the scientific community. Ultimately, scientists know that alcohol abuse and genetics are related. However, the big confusion is to whether those genes are in the parent already, or if their habit leads to a gene mutating. In short, did your parent already have that tendency, and pass it down to you. Or, did they create that tendency, consequently mutating those genes, and then pass it on to you? While there are certain possibilities that are more likely for the close relative of an alcoholic— there is also the alcohol abuse which occurs as the result of making a personal choice that eventually snowballs. In short, alcohol abuse— and genetic alcoholism starts somewhere. Your body, based on it’s genetics, will process alcohol in a certain way. Therefore, it handles drinking in a way that makes them more likely to develop a disorder. As we’ve mentioned, genetic alcoholism starts somewhere. However, on the flip side, just because you are ‘likely’ to have certain traits— doesn’t mean you will. Just because your Mom, Dad, or Grandfather was an addict does not mean that you will be. Rather, it just means that you have to keep a closer eye on your habits to avoid alcohol abuse. Alcoholics Anonymous: Is it the Right Fit for Me? As we mentioned, there are a ton of reasons why alcoholics anonymous can be a powerful tool in your recovery. For starters, it provides you with a support system of people who understand what you’re going through. While your family and friends are a support system as well, they likely have a biased view when it comes to how you got to where you are. They have a personal connection to the bad times, which can make it difficult for them to provide unbiased support. The beautiful and beneficial thing about alcoholics anonymous is that it’s available free of charge, and across the globe. While you are battling your disease and trying to get better, life goes on. You have commitments to your family, friends, and job. This means that you might be away from your home base for some period of time. However, you still need to attend a meeting when the cravings are strong. No matter where you are, an AA meeting should be within reach if you look. One of the most difficult things about recovering from alcoholism, is avoiding a relapse. the daily stress of work, life, and recovery can be too much sometimes. Therefore, most alcoholics will face a relapse along the way, or at least a close call. Having alcoholics anonymous to fall back on, and a sponsor can make you feel more accountable to your recovery— and not letting the people around you down. The main objective of alcoholics anonymous for most is to get better, and beat their disease. However, there are also those characters that attend merely as a means of avoiding jail or prison. Court ordered attendees might treat AA like a joke, fail to participate, distract loyal attendees, and lower morale. Therefore, they might present a threat to your sobriety when you feel as if you can’t openly share without judgment or interruption. Alcoholics anonymous often has a religious atmosphere to it, and religious undertones which have the potential to alienate some attendees. While AA works very hard to provide an atmosphere of comfortability, judgement-free, recovery encouragement— religion has the potential to be polarizing for some. There are aspects of alcoholics anonymous which can be difficult to recreate outside of those walls. However, there is no one-size-fits-all path to getting well again. While we encourage an accountability partner, and seeing someone who allows you to discuss your struggles and triumphs— there are options besides AA which can do that for you. Many drivers know that .08 is the legal limit of intoxication. Therefore, it’s illegal to drive at this point and doing so may land you a DUI. However, many drivers don’t realize that impairment begins long before you reach a BAC of .08. In fact, your driving skills can become impaired at just .02. Therefore, it’s important to understand your impairment level at each stage in order to avoid getting behind the wheel when it’s not safe. At a BAC of .02, you barely have any alcohol in your system. However, that doesn’t mean it hasn’t already began effecting your impairment level. Around this point, most people begin to loosen up and relax. With this relaxation, many people lose some of their sound judgment. In addition, a BAC of .02 also already takes a minor physical effect on the impairment level. Some people experience reduced visual abilities, meaning they may have trouble tracking a moving object or focuses on two things at once. 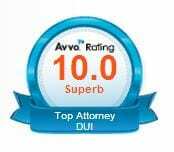 As your BAC rises, your impairment level does as well. That means symptoms of the above impairment level become more pronounced, while new symptoms begin. For example, visual abilities and judgment only get worse at the .05 impairment level. In addition, new problems come about such as lowered alertness, reduced coordination, and the loss of small- muscle control. At this point, many skills you use to operate and drive a vehicle have become impaired. Once you reach the legal intoxication level of .08, many of those skills you use to function become dull. For example, you may have trouble with balance, speech, vision, and reaction time. In addition to that loss of muscle coordination, your judgement and reasoning also gets worse at this impairment level. People typically have a harder time detecting danger, lose self-control, and suffer from mild memory loss. One of the most dangerous aspects that compounds through each level of impairment is reaction time. When operating a vehicle, it’s crucial to be able to react quickly. You may need to hit the brakes, swerve around an object, and change directions within a moment’s notice. However, beginning at the earlier impairment level of .02, drivers begin losing their reaction time. Once you reach the point of legal intoxication, your reaction time will become drastically delayed. There are plenty of myths surrounding alcohol. Many people stick to certain drinking habits and practices, believing them to be true. However, this can lead you to have some unsafe drinking habits. So, it’s important to know what’s fact and what’s false when it comes to these alcohol myths. One of the most common alcohol myths is the idea that you can sober up quickly. Many people believe they can drink all night, then rapidly become sober enough to drive. For instance, some people may drink black coffee, take cold showers, or eat greasy food. However, none of these alcohol myths will actually help you sober up, though you may feel a little more alert. Instead, only time and rest will help you become sober. Many people believe that the type and order of alcohol you drink, makes you sick. For instance, the phrase says that drinking beer, then switching to liquor will make for an uneasy stomach. However, how muchyou drink has more to do with how sick you become. If you drink a lot, especially in a short amount of time, you can bet you’ll become nauseous. For those that drink past their limits, they may find themselves blacking out. This occurs when someone drinks too much, then eventually just falls asleep. However, this isn’t a normal sleep. Instead, it takes place because alcohol has slowed down the person’s breathing and heart rate.This can be dangerous, since some extreme cases can cause the breathing to stop completely. When it comes to alcohol myths, it’s important to realize that blacking out isn’t normal or safe. It indicates that a person has had far too much to drink and is reaching dangerous levels of intoxication. Possibly the most dangerous of all alcohol myths, many people believe they are still okay to drive after just a few drinks. However, alcohol affects each person differently. This means many people will become too intoxicated to drive safely, sometimes after just two drinks. Therefore, it’s important to know your own limits and responses to alcohol. 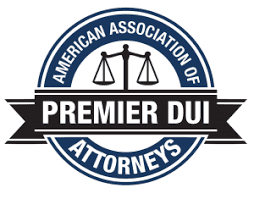 In doing so, you can avoid a DWI or a dangerous drunk driving accident.